In order to determine compatibility between horse and rider, Olympian Leslie Howard examines the factors that affect a horse’s preferred way of going as well as the variables that contribute to a rider’s particular style. She discusses how the rider’s use of hands, leg and seat can positively or negatively influence things like the horse’s level of impulsion, stride length and poll elevation. Equine activities can be hazardous and may subject participants to injury. 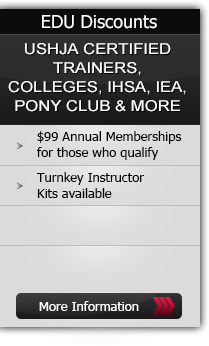 Neither Equestrian Coach, LLC nor Leslie Howard assume liability for your activities. This program provides general instructions and techniques that may not be suitable for everyone. No warranty is given regarding suitability of these instructions to the viewer.